2. The 12 Days of Christmas by the Muppets "Ba Dum Dum Dum"
7. The 12 Days of Christmas by the gang from Shrek "ya ya ya"
Note, I have not included any religious songs because, well, tipsy versions of O Holy Night aren't good. Don't get me wrong, there are few modern songs that are catchy. 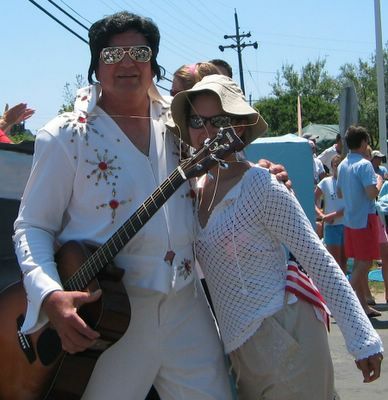 I just love the Stepford Wife sound of the 50's and 60's renditions. I guess I developed my fondness during my childhood. Back in the 70's, Christmas wasn't Christmas until Andy Williams, the Mandrell sisters and yes, Lawrence Welk, had a Christmas themed show. Fake snow, fake fires in fake fireplaces, laugh tracks and fake family get-togethers by the said fake fire heralded Christmas on tv. My uncle Stephen gave us a stack of albums he bought during his youth. My uncle also had OCD. On each vinyl cover, he had a sticker with his type written name upper right hand corner. 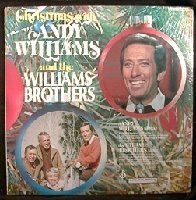 Among his stacks, was Christmas with Andy Williams and the Williams Brothers. I played that album every year. The people on the cover and back looked so jubiliant in their turtlenecks and knit sweaters. My father must have wanted to choke Mr. Williams with his own sweater. I swear, if he could have hid that album, he would have. There are a few songs I have issue with, mainly anything Barbara Streisand sings. I'm sorry, I don't think Barbara should be singing O Little Town of Bethlehem. Maybe I'm just not a Streisand fan. I've also grown tired of and I'm going to get flack about it, especially by Bowie loving husband. It's not that the song is bad although Crosby clearly has no idea why he's singing with Bowie . I swear there is a part in the song where you can actually here Bing think out loud, "Why the hell am I here?" It just gets played over and over and over and over and over. My all time favorite song is 'O Christmas Tree'. Why? Because at any given moment during Christmas, my husband will break out in an a cappella rendition of 'O Christmas Tree', Lrudlrick style. You are so very cuddly. You mean I have to put this stuff away too? NYC Transit Strike: Now What? Honey, we might need to order Showtime. Christmas stress is rolling its ugly head my way. Where were you on December 8th? Nobody Puts Tanny in the Corner.